If you love the idea of pretending to be a hipster graphic designer with one of Wacom’s beautiful Multitouch Cintiq tablets but can’t quite stretch to the $3,7o0 price tag, good news. The company has just announced a cute—and much more wallet-friendly—13-inch version. 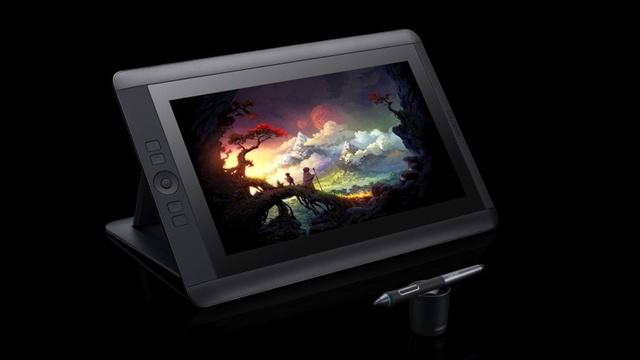 The Cintiq 13HD offers up a 13-inch HD pen display and a new Pro Pen. Fine details aren’t fully confirmed yet, but the pen provides 2,048 levels of sensitivity and tilt recognition, and the display provides the same ExpressKeys and Rocker Ring as its bigger brother. Perhaps most importantly, it costs $1,000—making it a little more accessible for the hobbyists of this world. It’s also worth noting that its size actually makes the Cintiq platform vaguely portable, so it’ll no doubt be tempting for those who travel a lot, too.